Retailers were content with the brick and mortar just before the world moved online. More than 50% of consumers claim they purchased more on the web than from physical stores. Due to this rapid adoption of online shopping, retailers had to move online before they would be out of business. Gartner predicts 28% installed human capital management systems will be SaaS-based by 2019. SaaS is the preferred choice especially for small retailers, as it is significantly cost-effective; the software has already been made and is ready to be deployed. As SaaS provides an option of monthly or annual payment, one doesn't have to flush all the money paying for the license fee in one go, which also nullifies implementation cost, maintenance cost, and risk involved in tradition software. The deployment time is also reduced drastically as the cloud-based software is ready once you are done with customization. Before you get started with your online store, you need to decide on a platform to be on. There are many platforms where you can register like Shopify, BigCommerce and Instantestore, or you could create a website of your own on Wix, Weebly or Jimdo. You need to announce your arrival in the online domain to the world. Do all you can to promote yourself, let the people know who you are, what you are all about, and what they can expect from you. Almost everyone is on some social media platform, as building a social image is necessary and will go a long way. The way you promote on your socials will say a lot about your brand image and will help form a brand identity. Most people think that an occasional post on Facebook, a couple of tweets on Twitter will suffice. But sadly, it isn't so. You need to buck up and keep your social profiles active. Look at the best times to post on different social platforms and schedule your posts, so that you constantly appear on your user’s timeline. There are a couple of tools that help you to schedule your campaigns easily and also show you a report of which campaign worked well. Fine tune your brand by putting up ads on websites where your target audience usually visit. Visibility plays a vital role in creating an impression and building trust. Let me be honest, there is no point of giving your all, if you don't rank well. You have to rank on the first page of Google or at most at the second page, otherwise the chance you receiving organic traffic is really meagre. It is vital to target the right keyword for generating more traffic to your page and for google to crawl and improve your ranking. For this, you need to optimize your on page keywords, add image alt tag and so on. Keyword difficulty and volume of the keyword needs to be taken into account while finalizing the keyword for which you want to rank. More the times you use a particular keyword, the better are your chances for visibility. 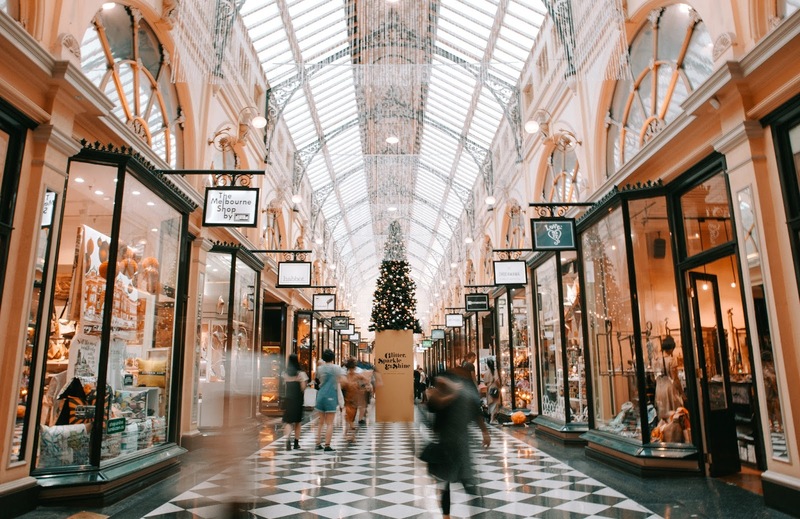 When it comes to retailers, it is not just about traditional SEO; it is important to build reliability and trust around specific locations, so that you get listed when people search for something related to your business in your location. Traditional SEO helps google identifying trusted content rather than location. You need to rank for geographically related keywords, which includes the address (map), contact details, reviews, customer ratings, your operational hours etc. It validates your business and cites you effectively. You need to list yourself in important directories like google listings. It is not easy to supervise the flow of goods from manufacturers to the end consumer. You obviously have hundred other things on your plate than monitor inventory and track orders. You need a tool to take care of your stocks, manage returned goods, track supplier availability, finalise shipping providers, check inventory value, import and export data and more. Managing the stock of your multiple location retail store can be cumbersome. Why break your head on these issues when you can use a tool that would manage all your inventory just like you would? Export your company data and information and let a tool do the rest for you. You also can function better by managing the working hours of your employees, track their work hours and sales progress. There are a few tools that take care of your logistics with efficient distribution solution. They help you in saving cost in delivering goods. Create a marketing list, adding all customer leads, accounts, contacts etc. Keep a track of your users and customers and find out the best channel to encourage engagement. Monitor where your users are dropping off and attack them accordingly. It is essential to re-engage and retarget your users to nudge them to make a purchase. Don’t be disheartened if all users don't turn into customers. Follow up on them; send them interactive emails, touch them via SMS informing them about special offers or re-target and engage them by web push notifications. Last but not the least, you need to establish yourself as authentic and trustworthy. Back yourself with amazing customer reviews, strive to get good ranks from customers, acquire likes on social media sites and get featured on blogs. Online interactions influence 36 cents of every dollar spent in an offline store. Be prompt in answering queries; customer service it vital to make your customers happy. Happy customers lead to loyal customers. You need to have a chat on your website to that you can cater the users 24/7; this builds reliability and trust. It also helps in generating leads and boosting sales. Better the customer service, better are the chances to your brand will stand out. Saas is ever evolving and tools will keep innovating themselves to makes lives easier for business and industries. Name it and there is a tool for it. These SaaS tools are a must use for retail stores to make the cut online. They say sky is the limit, for now let’s stop at the cloud. 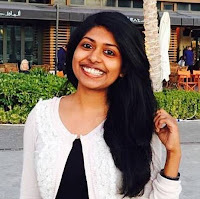 Pravya is a Product Marketer at iZooto. She writes often on the iZooto blog. iZooto is a web push notification platform that helps marketers drive user engagement. With amazing personalization and customization features, it enables marketers to engage their users across both Desktop and Mobile.